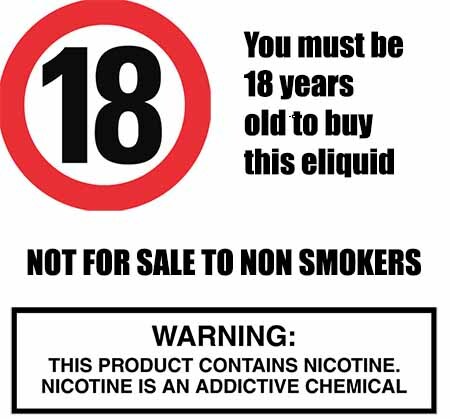 If you like to taste of the popular spearmint chewing gum you will love our Spearmint flavoured eliquid. A smooth refreshing spearmint flavour will tantalise your taste buds with each vape and keep its flavour. Spearmint eliquid produces a good throat hit with excellent amounts of vapour. Spearmint eliquid is produced by The Vape Shop in the UK using only the finest USP pharmaceutical grade ingredients. What Is Spearmint Juice Like To Vape? Vaping our flavour blend of the herbaceous mentha spicata (spearmint) plant is a real treat. When you inhale your mouth will fill up with this fresh, crisp and slightly sweet version of mint exciting your taste buds and refreshing your mouth. As the spearmint flavour rolls over your tongue it almost feels like it's cleansing your palate as it goes. On exhale you get a second helping of the fresh spearmint and the exhaled vapour creates a lovely minty aroma. As part of our UK premium vape liquid production we make sure that all our vape juices DO NOT contain:- Diacetyl, Acetoin, or Acetyl Propionyl, refined sugars, protein, genetically modified ingredients, animal ingredients of any kind, preservatives, sweeteners, or colours. One of the aspects The Vape Shop prides itself on is that we only produce minty e liquids that are gluten free and suitable for vegetarians, and vegans. You can rest assured when purchasing this e liquid flavor that it contains only the purest ingredients.